Ciara Mageean had her place at the Rio Olympics confirmed on Monday under a revised qualification process. Athletics Ireland said on Monday that it is adopting the new process, where qualifying standards are revised upwards in a number of events. 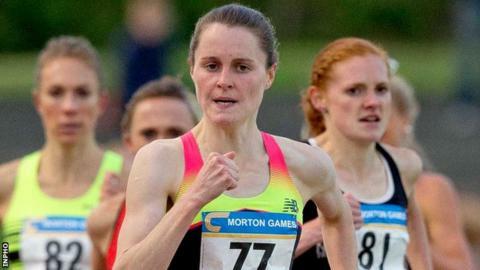 Portaferry women Mageean will race in the 1,500m while Ciara Everard (800m) and five marathon runners have achieved the qualification standard. Mageean made the Olympic standard by clocking 4:06.09 in September. Gary Thornton, Thomas Frazer, Sean Hehir and Eoin Callaghan have met the qualifying criteria in the men's marathon but each country can only send a maximum of three athletes in the event. Barbara Sanchez has qualified in the the women's marathon after running 2:42:43 in Valencia last month. Athletics Ireland has adopted the 'two way' qualification scheme for the Rio Olympics. An athlete can achieve the entry standard in the qualification period or be invited by the IAAF as the best ranked athlete at the end of the qualification period to fill the remaining quota places by event.